It' the season to celebrate with bold ideas and bold colors. The winter holiday months of December, January and February offer ample opportunities for receptions, showers and parties. A romantic indoor garden reception, holiday party, bridal shower, wedding reception or birthday celebration are a few affairs that come to mind. Unique gift packaging, favor packaging and unusual boxes are affordable options when a little pizazz is in order. The vibrant color of red can inspire an atmosphere that's glamorous, romantic, cozy, simple or grand. These gorgeous folding presentation favor boxes have clear lids and are great for displaying gourmet treats. The lovely grosgrain ribbon is pre-attached for your convenience. 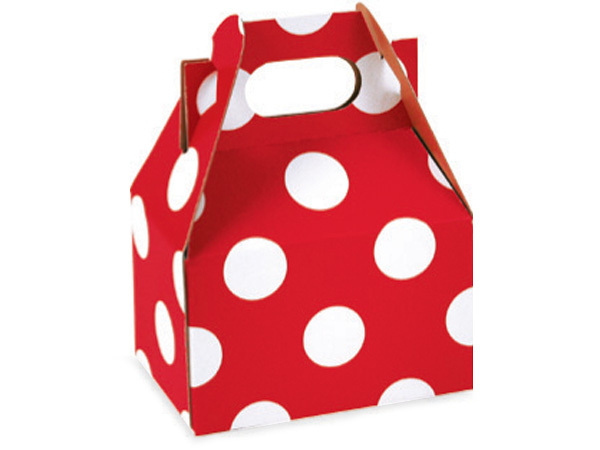 Red polka dot mini-gable boxes can package scrumptious cookies, candies or other gourmet delicacies. 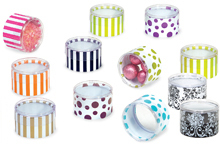 If you want to infuse your party with fun favors - why not give them in in boxes that will leave a lasting impression? Your guest will love receiving eco-friendly packaging that is made of 100% recycled materials. Add candies, soaps or small treats along with ribbon and gift tags. For small gatherings, these little boxes come conveniently boxed 25 per pack or for larger celebrations, cases are available, 100 per pack. 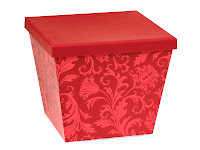 Warm your winter special occasion with red small angled gift boxes to add a unique flair to your gift packaging. Add beautiful satin or sheer, matching or contrasting ribbon and place at each place-setting for your holiday private dinner party. 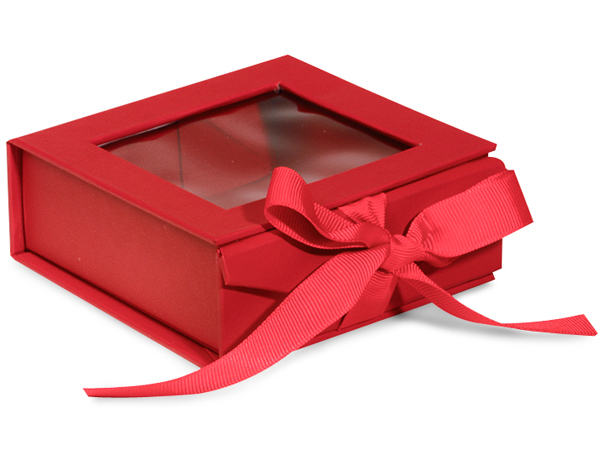 No guest will leave your home or affair empty-handed and they will appreciate your thoughtfulness and treasure the distinctive, reusable gift box. The crisp freshness of true red can help create a botanical wonderland indoors. 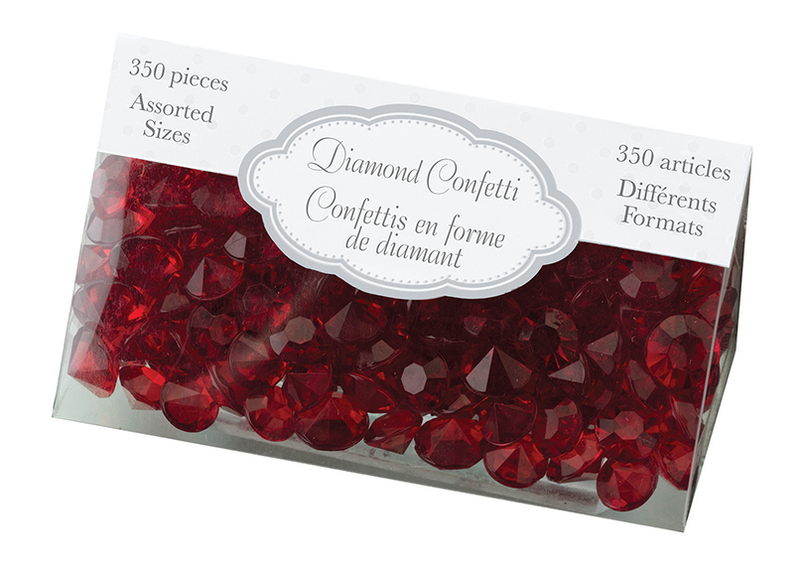 Sprinkle sparkling diamond gem confetti on your tables for your after-party or reception to enhance the joyous occasion. The glittering tiny adornments are fabulous finds that add just the right amount of allure.